LIVECOACHDIN: Road Safety Tips for Sek.Men. Keb. Cyberjaya Students by D.I.N. Road Safety Tips for Sek.Men. Keb. Cyberjaya Students by D.I.N. 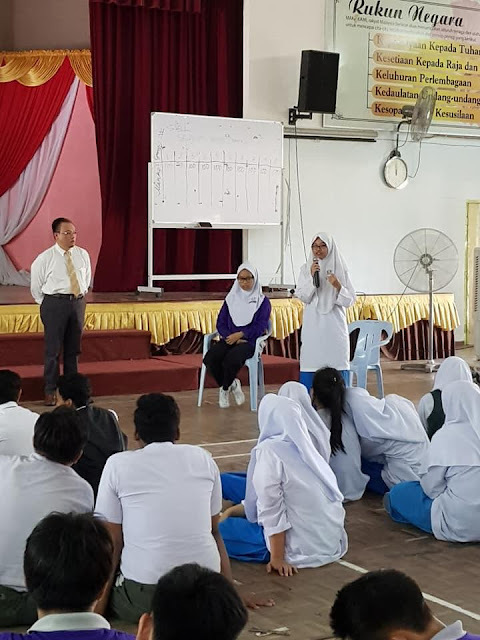 Encik Kamarudin Mohamed Nordin, Principal Consultant of Dynamic Infinity Network was invited to give a Road Safety Campaign talk to the students of Sekolah Menengah Kebangsaan Cyberjaya. His topics ranged from being safe when using the roads. Proper riding methods when using motorcycles and the wearing of safety belts when being in a motor vehicle. The Road Safety Campaign was organised by Shell Malaysia.